Toronto separation agreement lawyer. When you draw up a separation agreement, it deals with the situation you are in at that moment. If your marriage is short and there are no children or large amounts of complex property involved, your separation agreement may only be necessary for a short while. Otherwise, you may need to deal with each other for a longer period of time. Child support: These changes can be made quickly and efficiently, by exchanging financial information and looking up the Child Support Guidelines once a year. Spousal support: Spousal support is usually only intended to give the lower-income spouse time to get on his or her feet. Most separation agreements require recipient spouses to periodically prove that they are making efforts to become self-sufficient. Complex business, property or financial matters: If spouses must continue to work with each other in a business setting, there should be clauses drafted into the agreement that specify their rights and obligations to their business and to each other. If none of the clauses dealing with these kinds of modifications are sufficient, there are usually provisions describing how unexpected problems should be resolved. At Baker & Baker, we strongly recommend making negotiation and mediation a part of these provisions. Sometimes mediation does not work and spouses decide to go to court. They may be unhappy with the way the separation agreement was agreed upon, or how it has worked for them, or unhappy with their lives since the divorce. Sometimes there are simply circumstances that nobody could have predicted when the separation began and which defy easy solutions such as international relocations. One of the best ways to avoid going to court is to understand that the separation agreement you negotiate at the beginning of your separation must work for all parties for a long time. All parties must be satisfied with it and have a stake in making it work. Our Toronto lawyers can help ensure that this is the case. Looking for a Toronto Separation Agreement Lawyer? 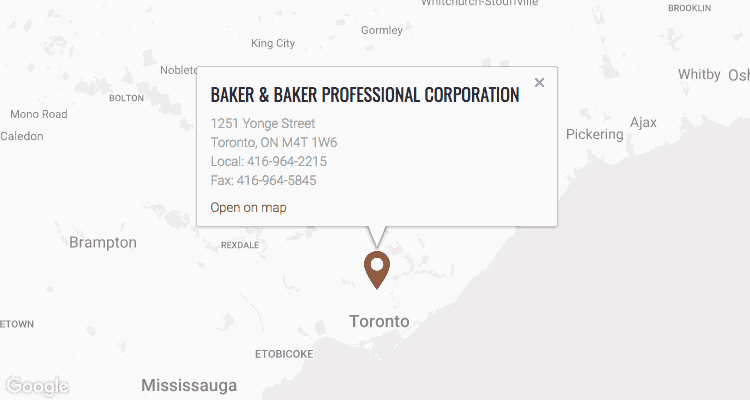 If you are considering making changes to your separation agreement, contact Baker & Baker at 416-964-2215 or by email. We can help you work out solutions that will keep your matter out of the court system.